In the heart of Garnet Valley just north of Summerland, there was a dry, rutted field pocked with tire marks and dried mud. 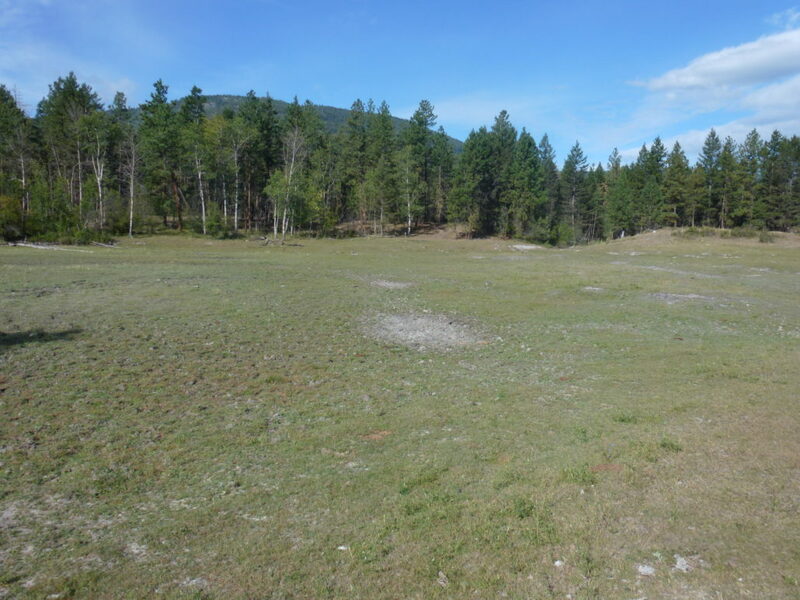 Old timers said this place used to be called “Ritchie Lake”, a healthy, vibrant wetland with frogs in the spring, green with rushes, wading water birds, dabbling ducks, and a source of drinking water for wildlife – a rare commodity in the dry South Okanagan landscape. 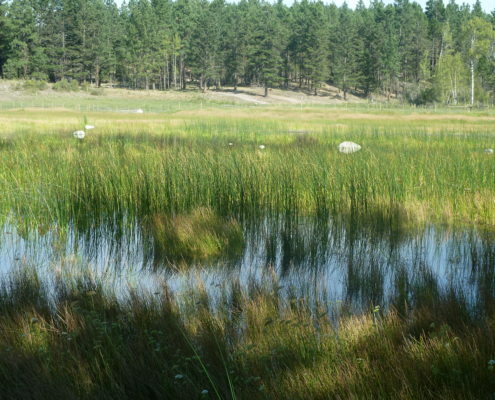 For thousands of years this wetland may have been known to the Okanagan First Peoples as part of their traditional hunting and trade routes. It was definitely known to Fur Brigade traders two hundred years ago with evidence of the route and camps nearby. 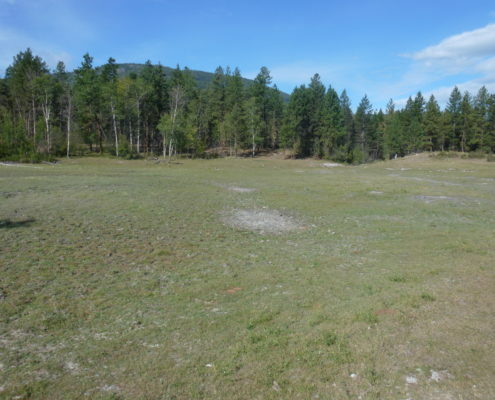 Unfortunately, within the last ten years or so, Ritchie Lake also became a popular hangout for a small, but impactful group of off-road vehicle drivers who illegally drove in and out of the wet area repeatedly – grinding up the vegetation and sub-soils. 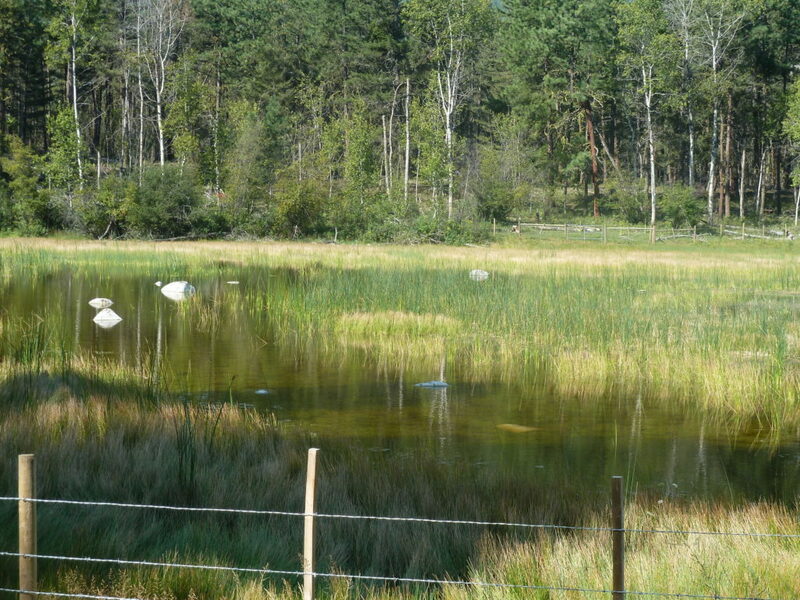 It is hard to overstate the impact that “mud-bogging” can have on a sensitive spot like Ritchie Lake. The vehicle destruction, cattle use, a few dry years, and maybe disruption to water flows from the adjacent gas pipeline – caused Ritchie Lake to be in a sad state. As one of the only potential wetlands of its kind left in Garnet Valley, and armed with a couple people who had memory of seeing it in is former glory – a group set together to “bring it back”. 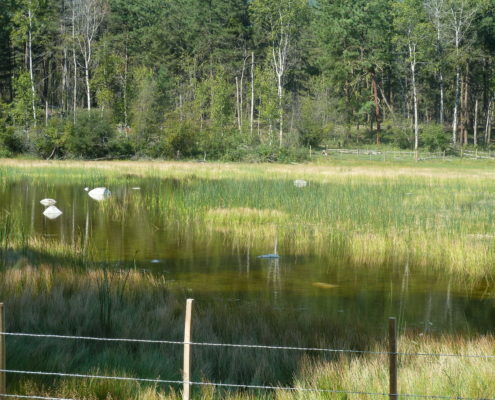 A partnership quickly hatched between conservation organizations, a hunting club, the local rancher, and staff from the Province of BC. 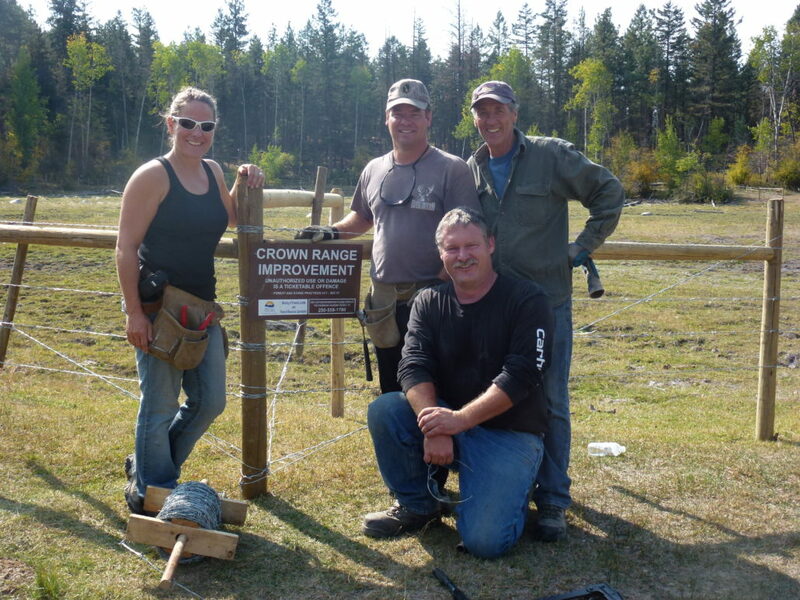 In 2012, with bit of money from the Habitat Conservation Trust Foundation, a whole lot of matching volunteer elbow grease, and many materials donated, the group built a fence to exclude off road vehicles and cattle, but allow wildlife access to the wetland. It took four full days with ten volunteers to get the job done. One year after the project the results are no less than stunning. 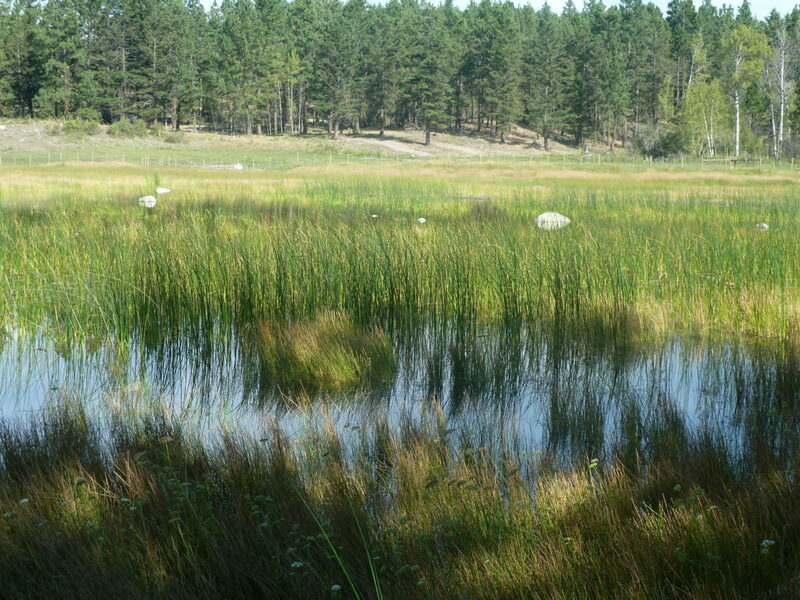 Where there was a rutted dry field, is now a wonderful wetland. Water deep enough to flow over your boots and soak your socks. Reeds poking through the wet, dabbling ducks bobbing in the water, hundreds of dragonflies hovering, the deafening chorus of springtime frogs. And, at the edge of the water, the delicate prints of mule deer mother and fawn, coming for a drink at a wetland restored just for them.